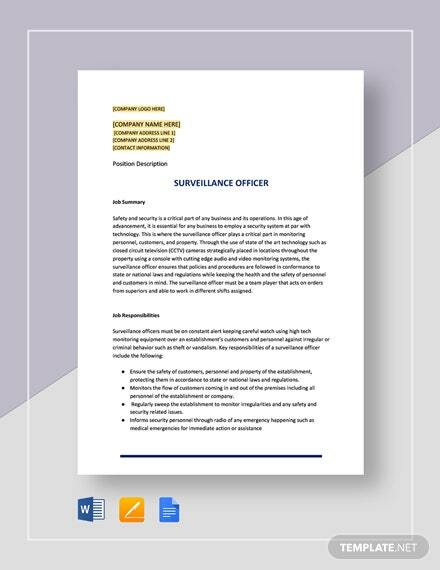 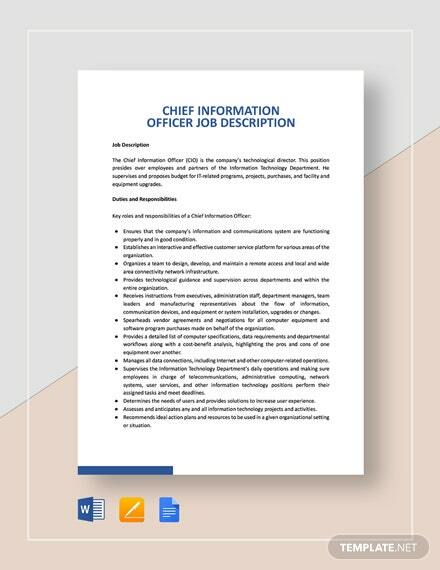 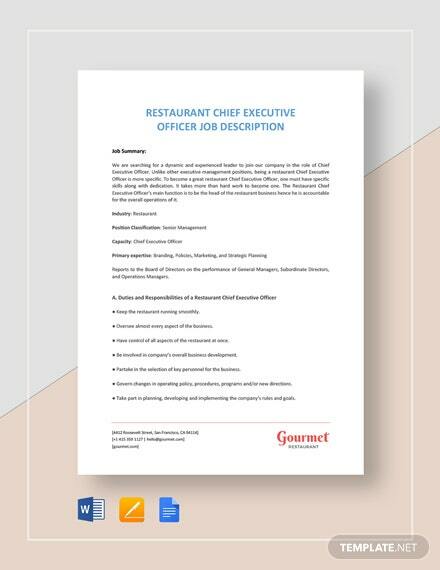 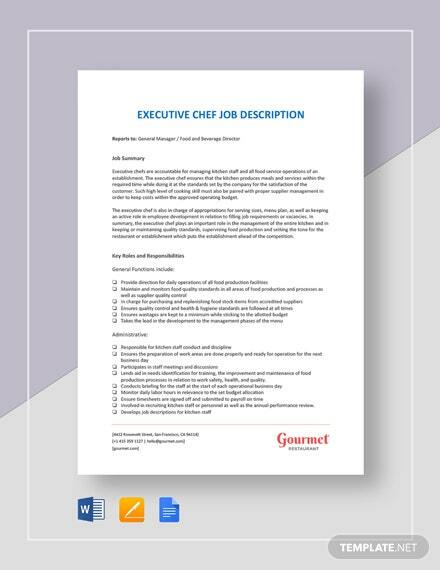 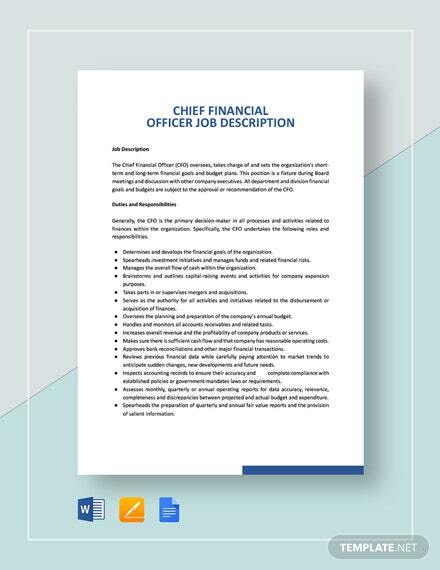 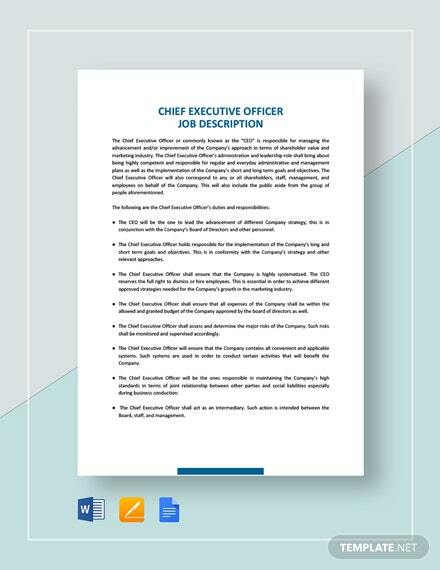 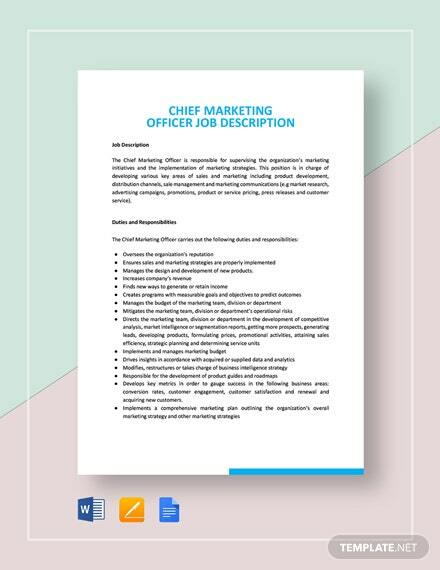 This HR Officer Job Description is a highly versatile template because it can be used for purposes such as recruitment, appraisal, job evaluation, and training. 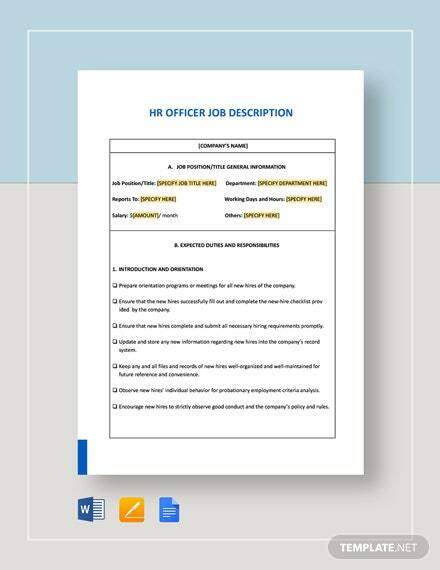 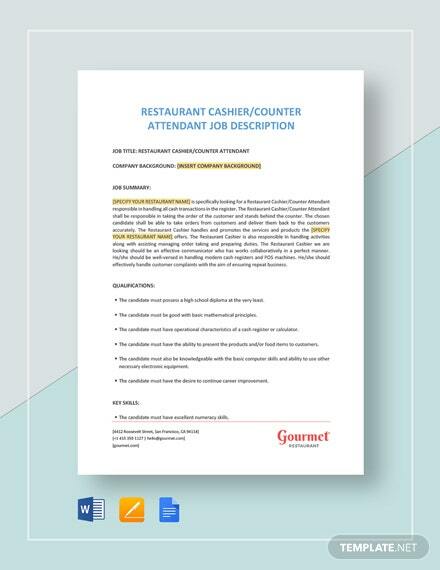 When you download now, you can list down +More the details of the expectations and responsibilities of a person who supports the implementation and development of human resource initiatives and systems. 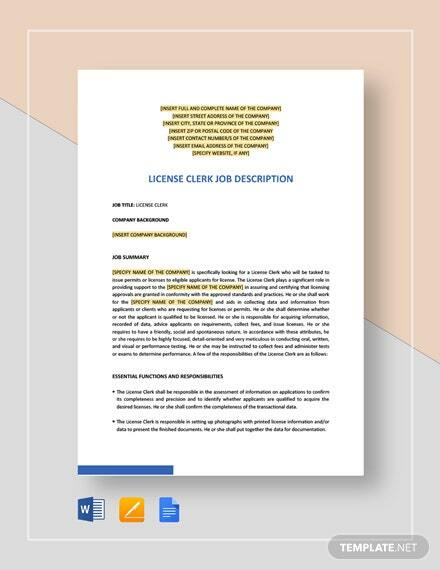 Styled and formatted to suit both personal requirements, as well as business, this template is highly customizable with the use of the compatible file formats available. 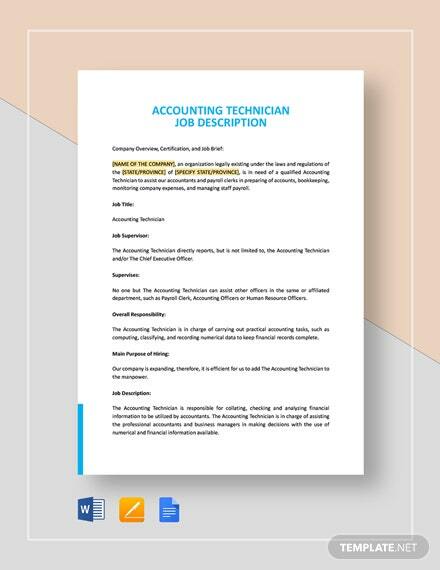 Ready to edit and use anytime, get your hands on this amazing deal now!